Renal cell carcinoma (RCC) can be diagnosed by histological tissue analysis where exact counts of cancerous cell nuclei are required. We propose a completely automated image analysis pipeline to predict the survival of RCC patients based on the analysis of immunohistochemical staining of MIB-1 on tissue microarrays. A random forest classifier detects cell nuclei of cancerous cells and predicts their staining. The classifier training is achieved by expert annotations of 2300 nuclei gathered from tissues of 9 different RCC patients. The application to a test set of 133 patients clearly demonstrates that our computational pathology analysis matches the prognostic performance of expert pathologists. 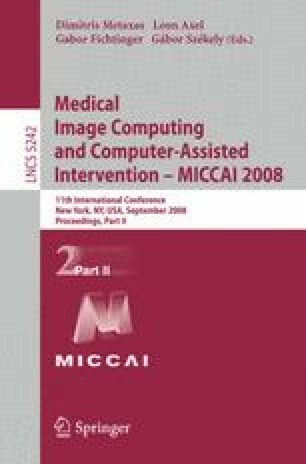 Electronic supplementary material is available for this chapter ( 10.1007/978-3-540-85990-1_1).